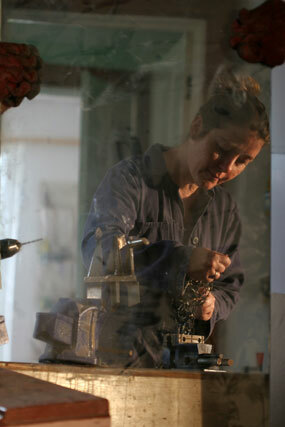 Brigitte Evill is a British-born sculptor, working in various metals - steel, bronze - and other materials. She works from her art studio outside Rye in East Sussex, England. She was a Creative Director at various international advertising and design agencies in London, Paris and Hong Kong, where she won awards for her creative work for international clients such as IBM. In 2006, she won the Victoria & Albert Museum's Inspired by...sculpture prize for her piece, Ascent.